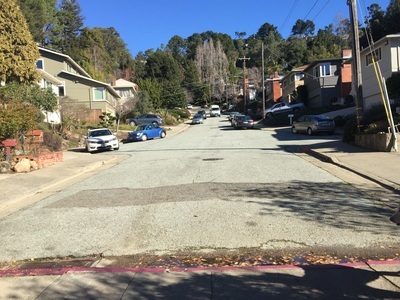 Parking: Free parking in the neighborhood at address above (end of Cortereal Ave; please be respectful of residents). Best time to visit: Anytime, as the trails are mostly shady. 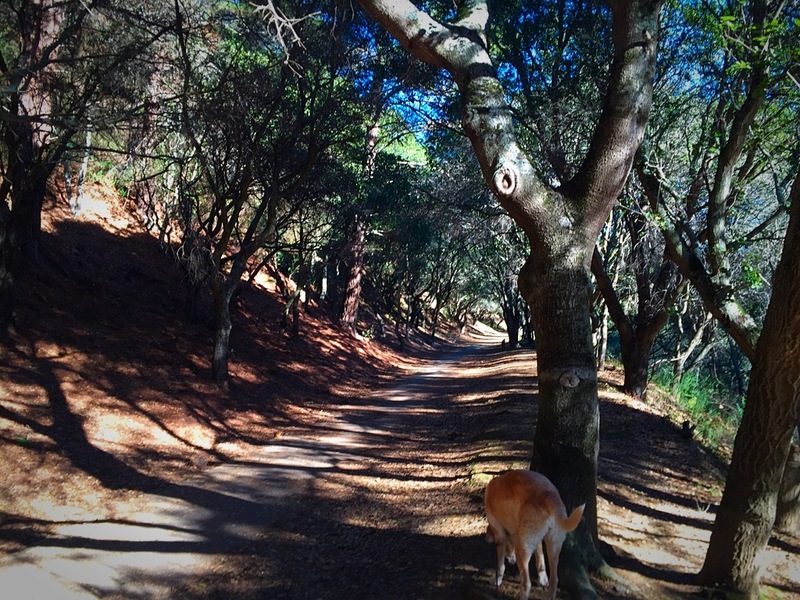 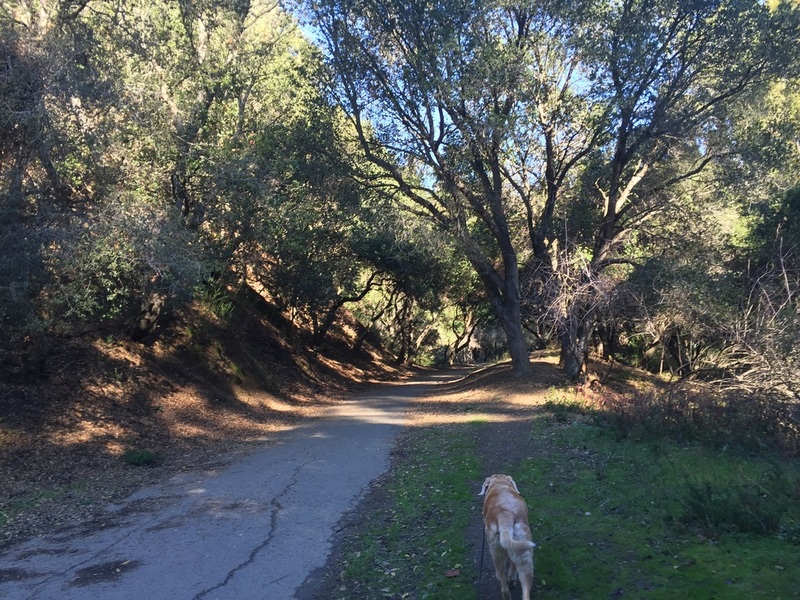 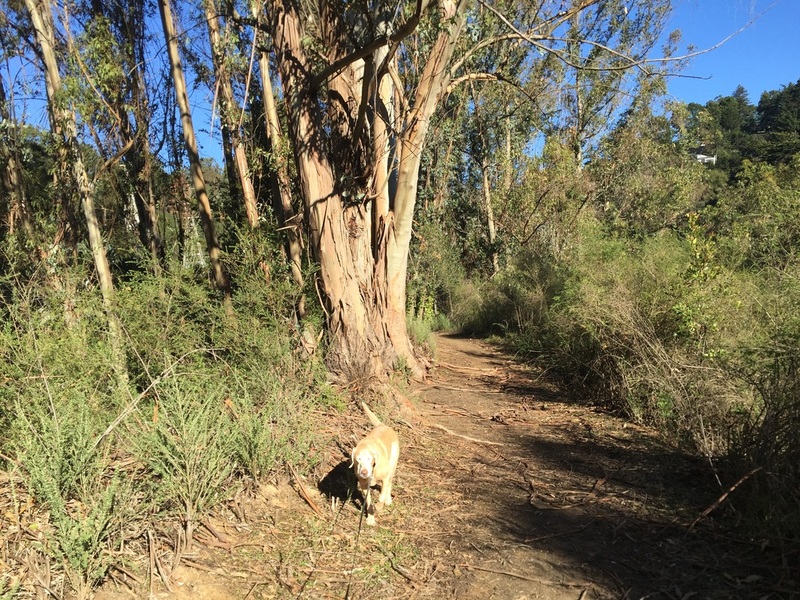 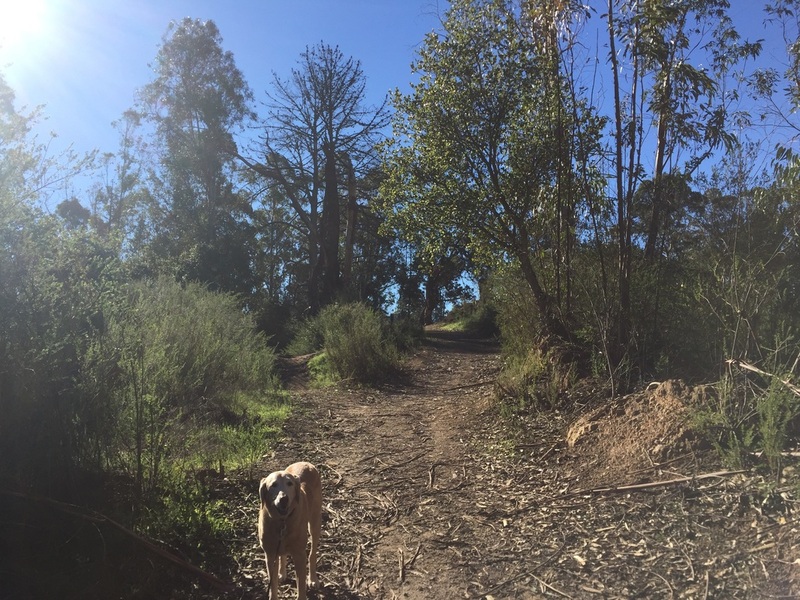 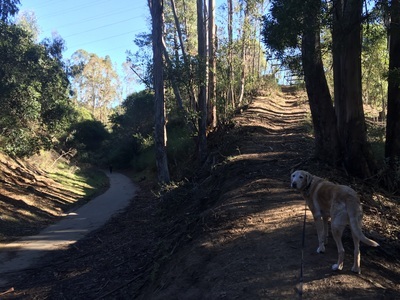 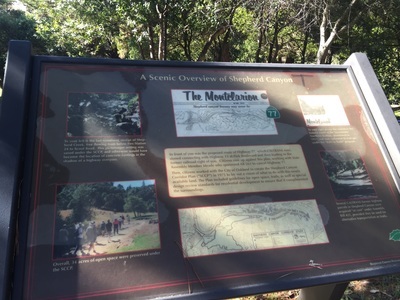 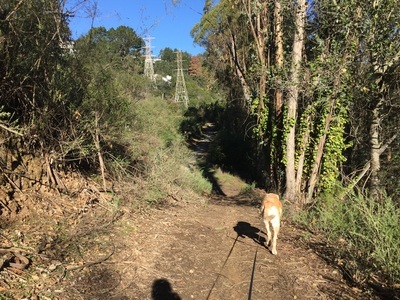 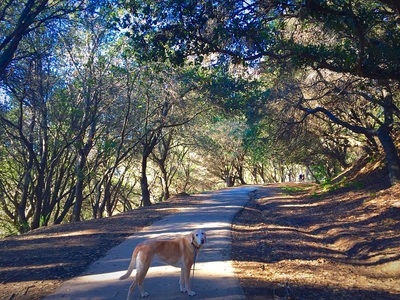 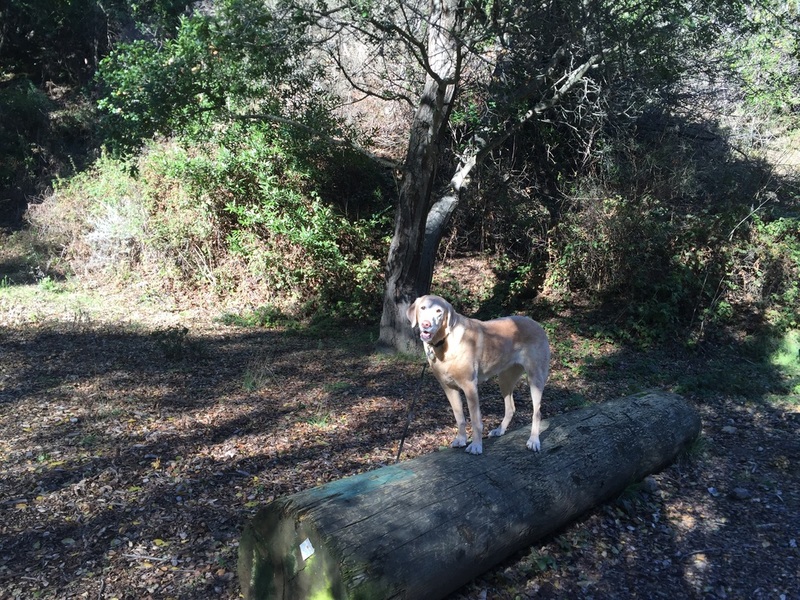 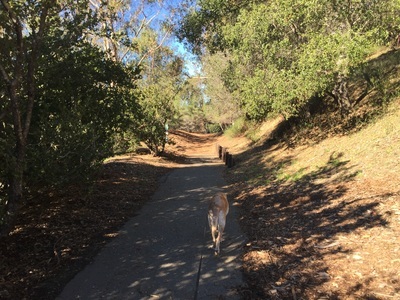 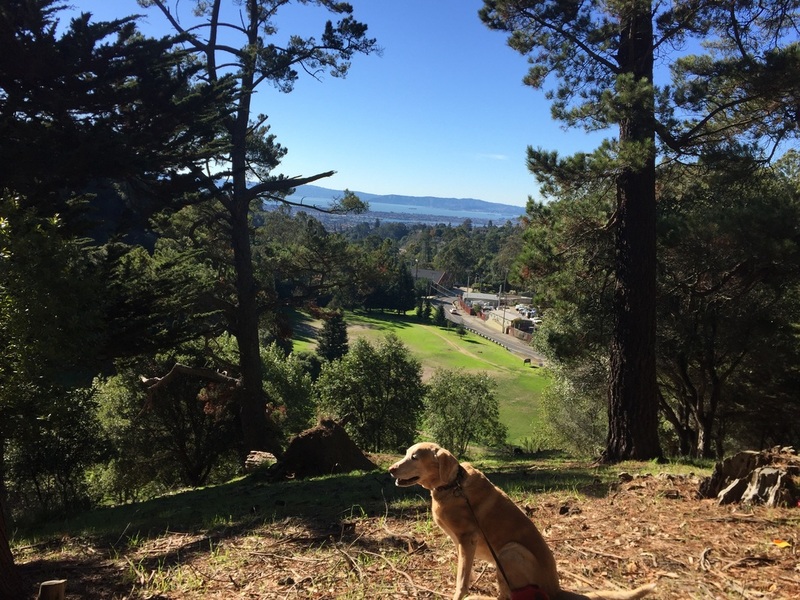 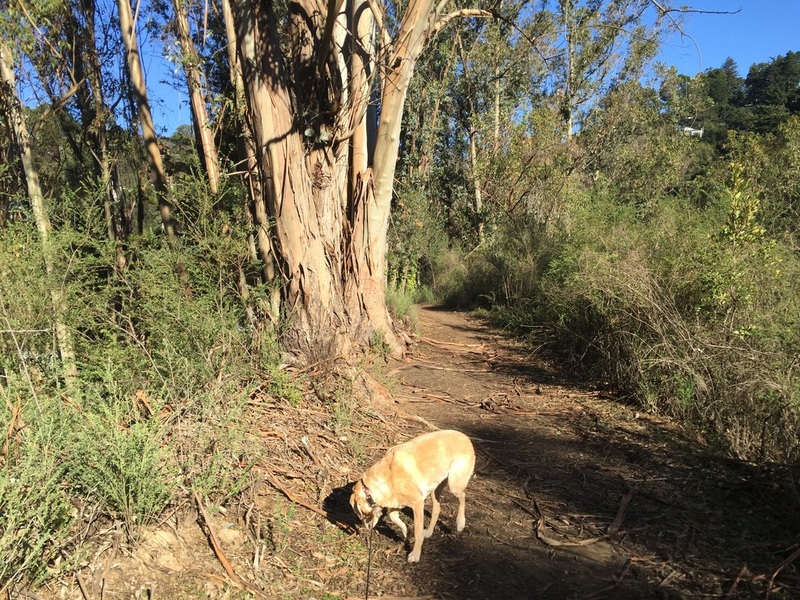 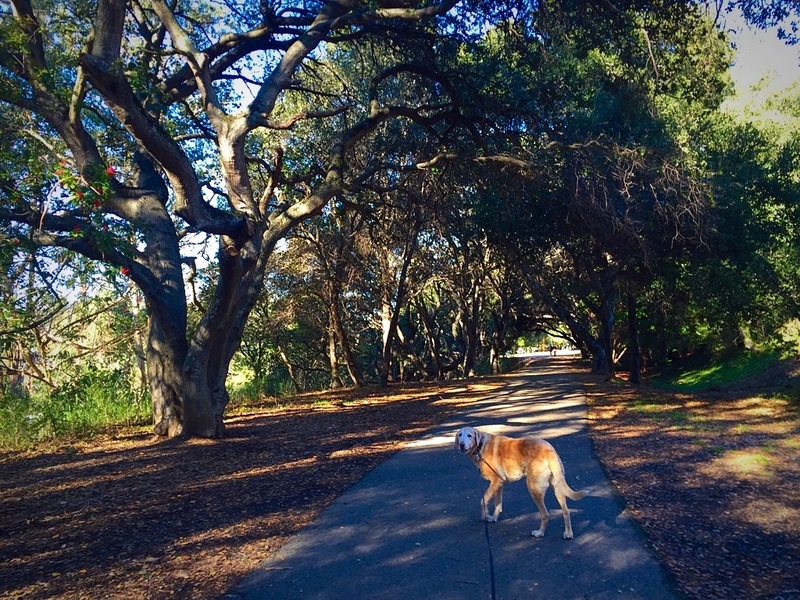 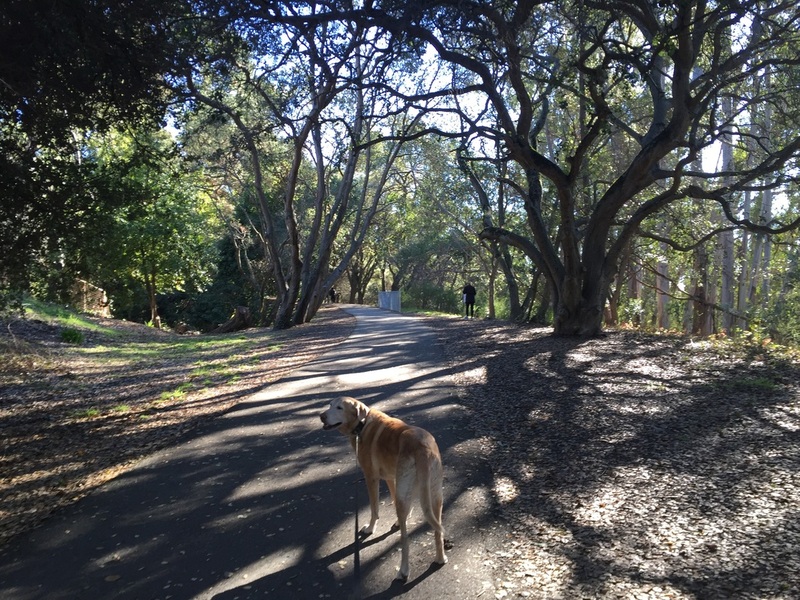 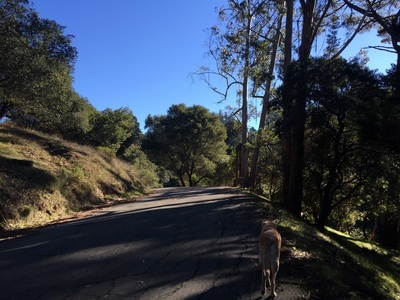 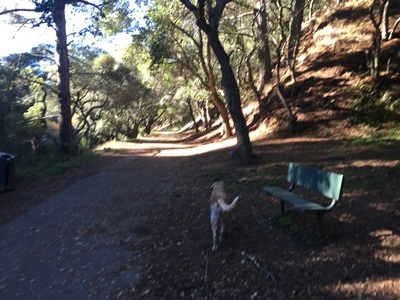 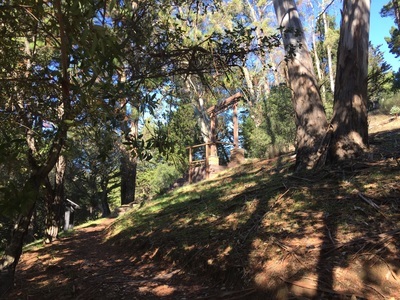 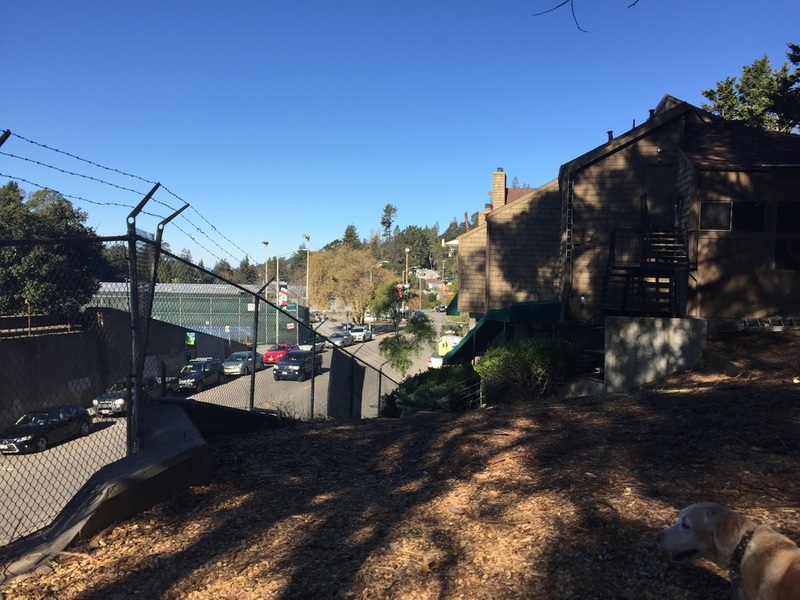 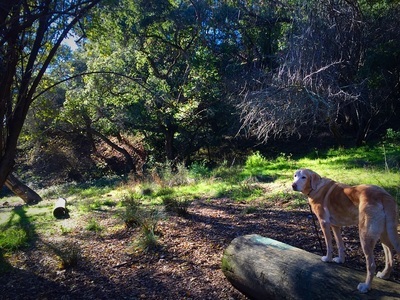 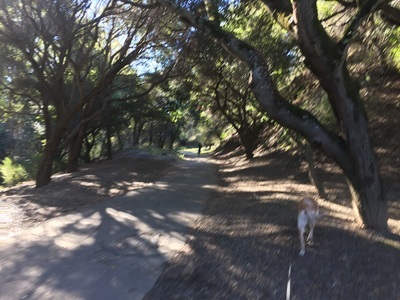 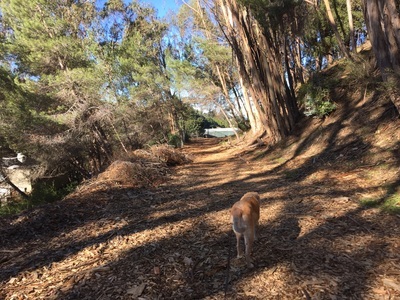 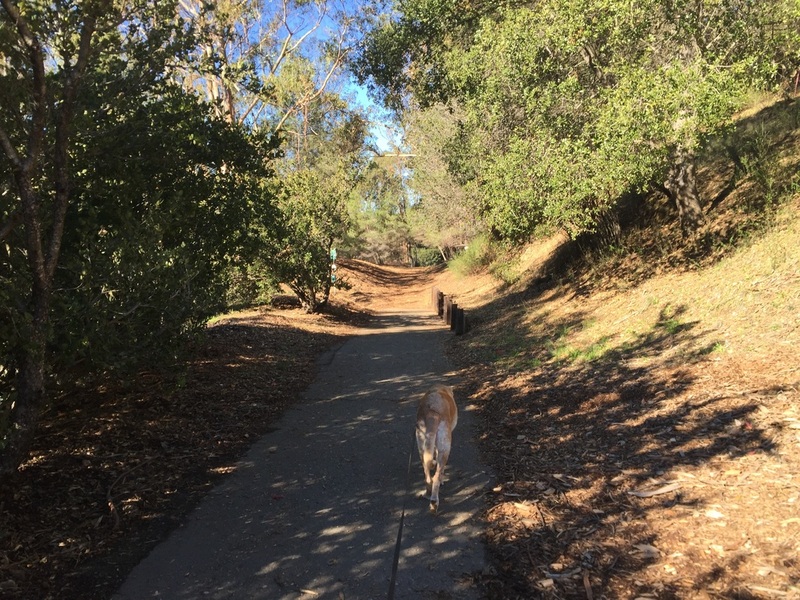 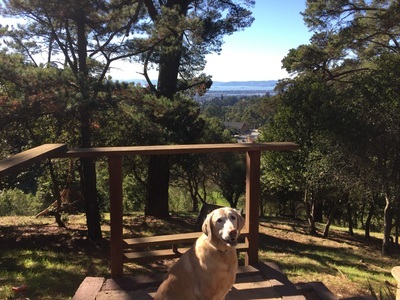 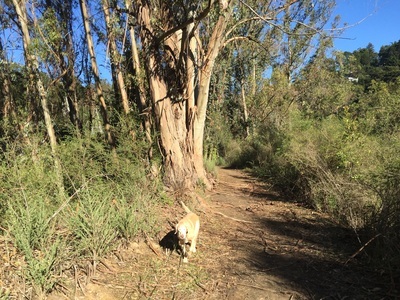 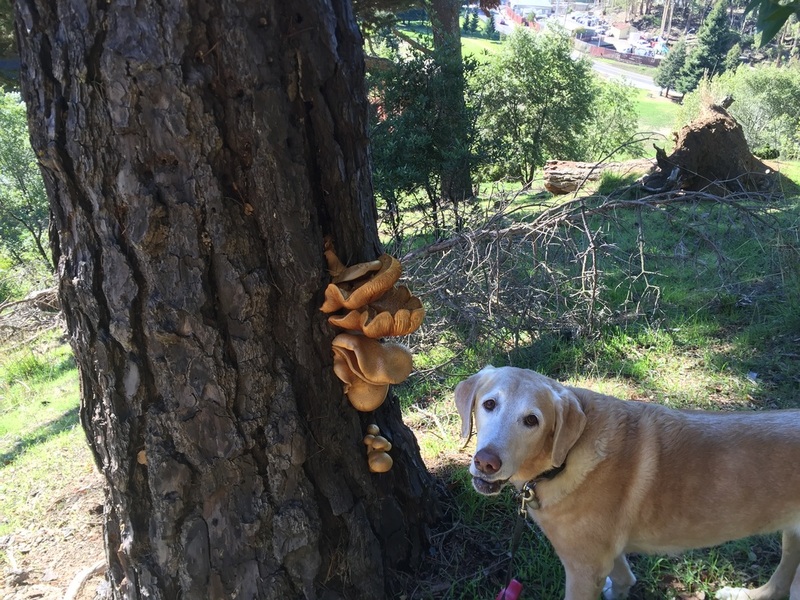 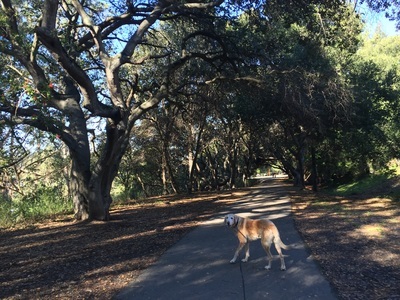 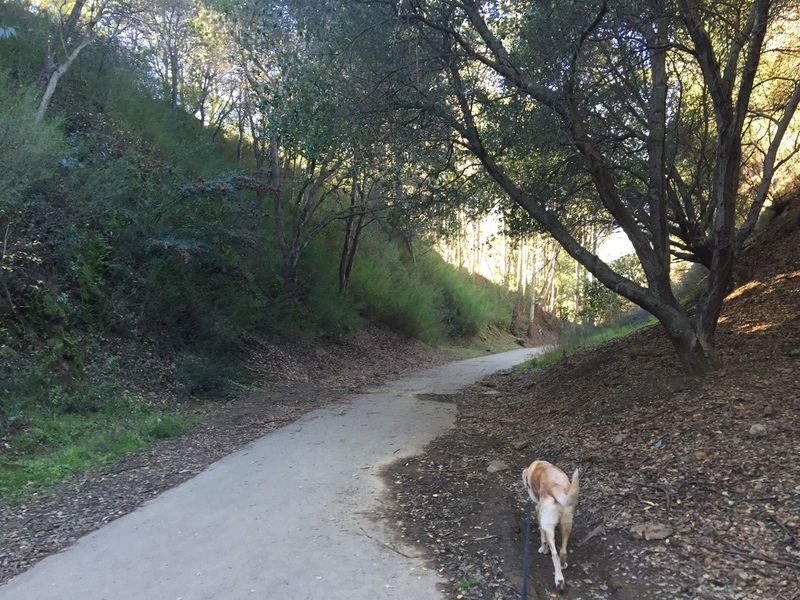 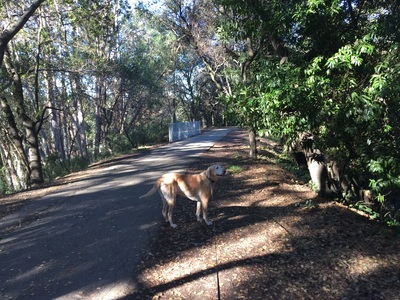 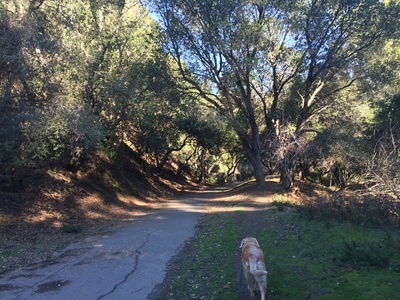 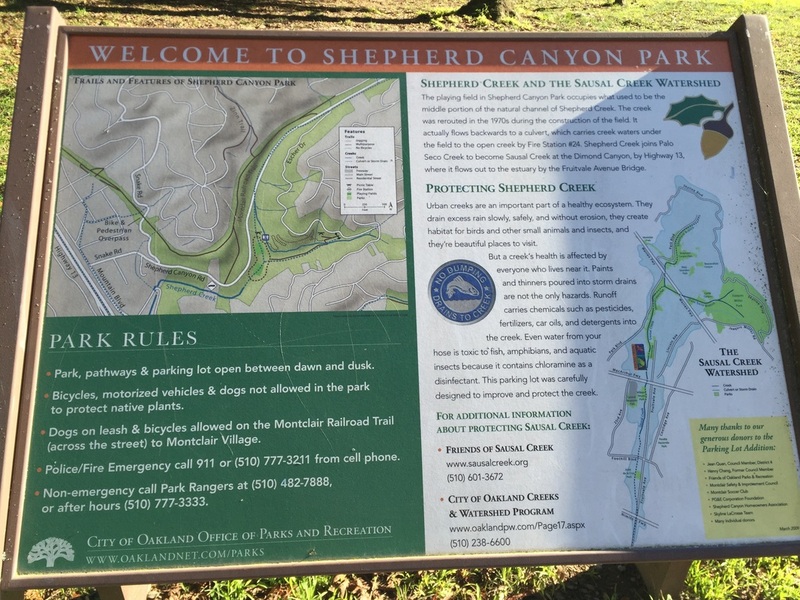 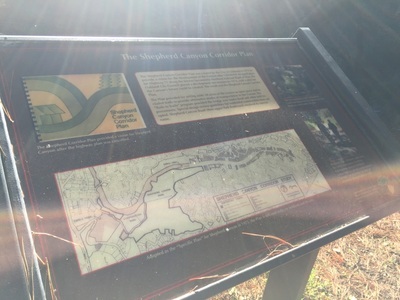 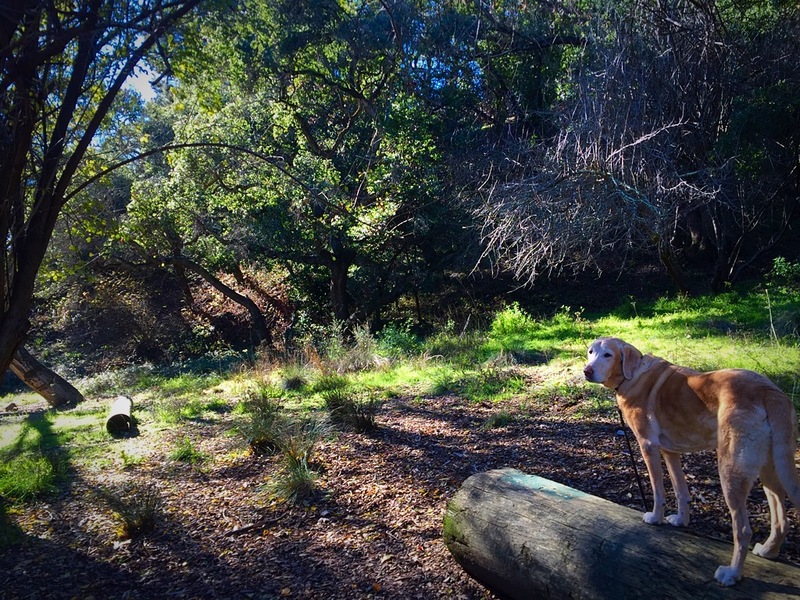 Description: This is a beautiful hike in the Oakland hills, above Montclair Village. The 1.5 mile paved Montclair Railroad Trail was once part of the route of the Sacramento Northern Railway, which took passenger between Oakland and Chico from 1912 to 1957. In the 1970’s, a freeway was proposed to take its place, but luckily never came to fruition. 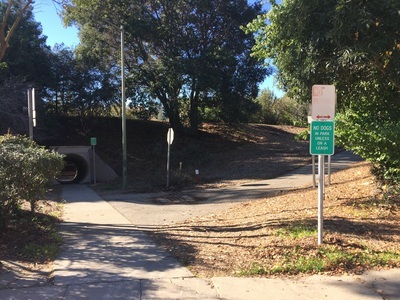 This trail snakes through groves of trees, and even includes an overpass crossing Snake Rd (which, if you’re like me, you’ve probably driven under numerous times but never realized was part of a trail). 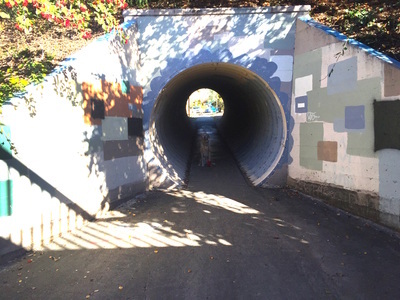 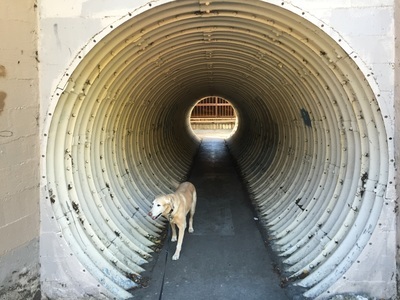 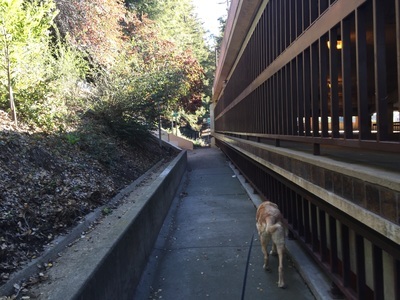 There's a cool tunnel you can walk through from the Cortereal Ave or Montclair Parking Garage entrances. 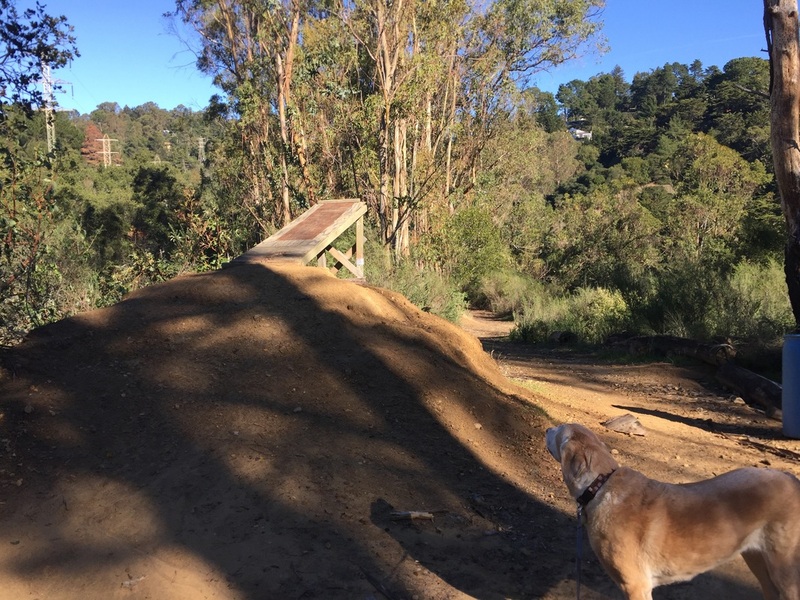 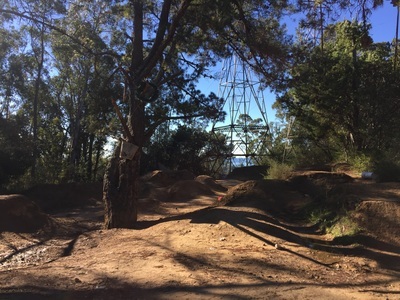 There is a steep, dirt stretch of trail behind the Corporation Yard (across from the fire station) which will take you up to a strange area with dirt mounds which appears to have dirt bike or skateboard ramps and a transmission tower. 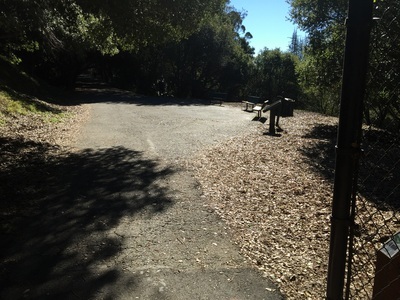 From here you can catch a glimpse of the bay, and head down the other side to join back on the paved trail. 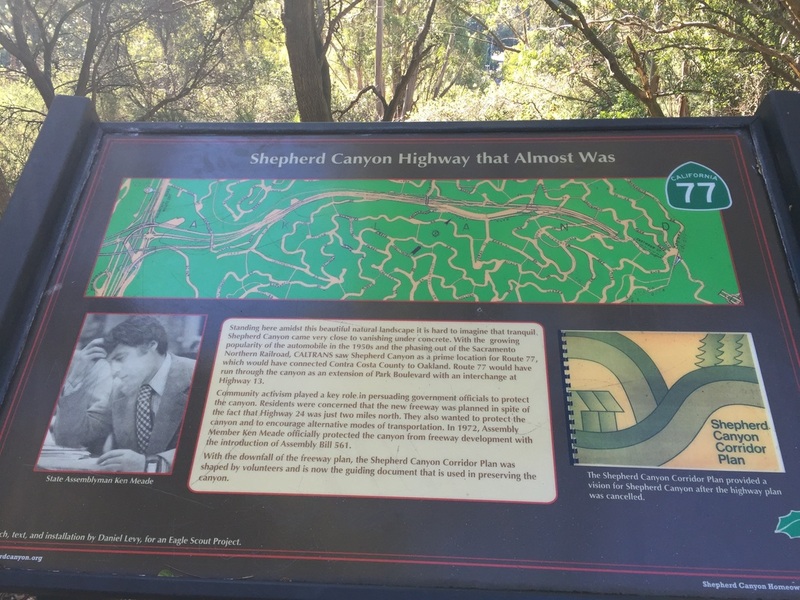 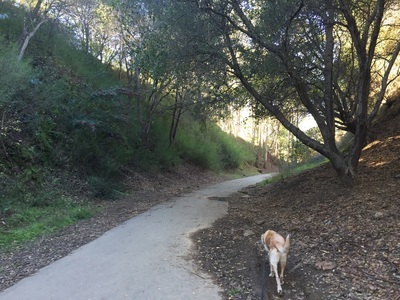 If you head in the direction of Bishop’s Court, you will see a small side trail leading down to Shepherd Canyon Road. 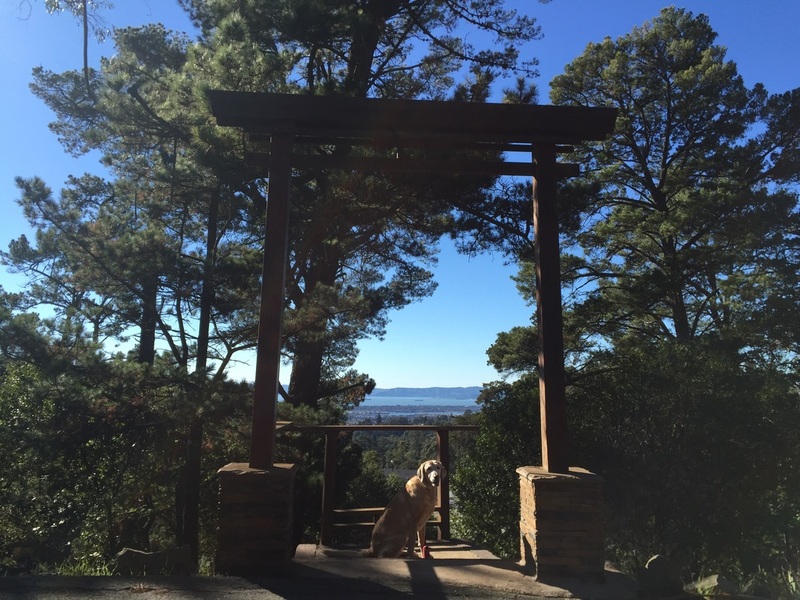 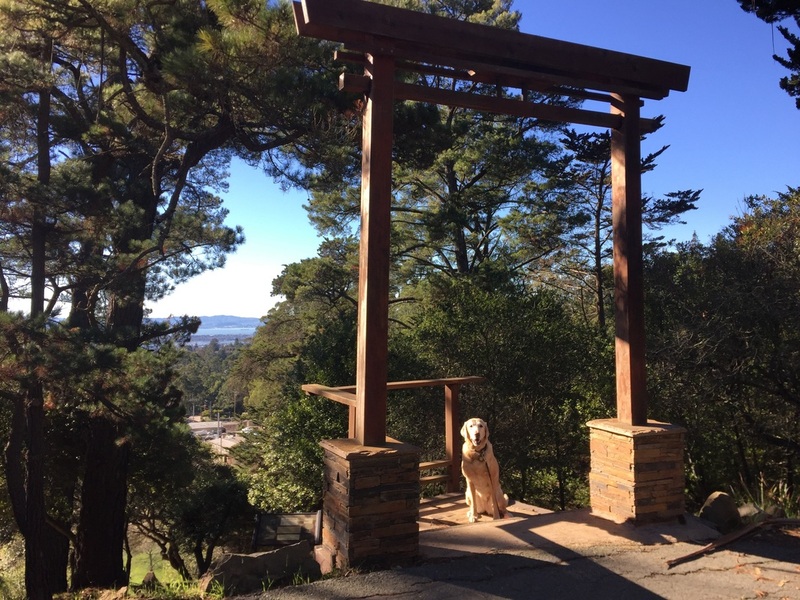 If you (carefully) cross the road and walk up Escher Drive you will find Torii Gate (a traditional Japanese gate), which perfectly frames a beautiful view of the bay. 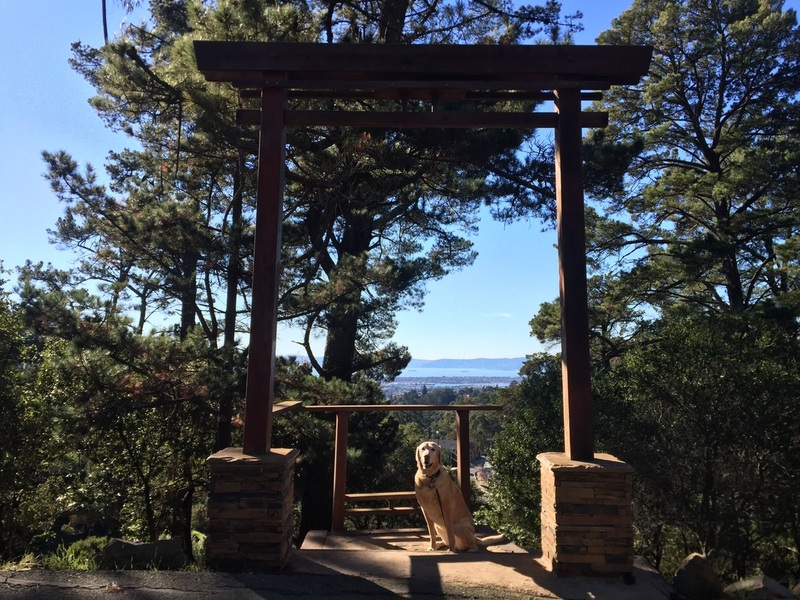 Torii Gate is definitely worth the side trip. 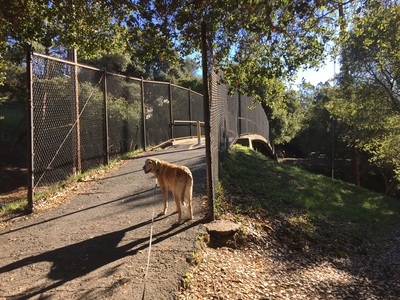 Below Torii Gate is trail snaking down to the soccer field and parking lot at Shepherd Canyon Park, but unfortunately dogs are not allowed in this park. 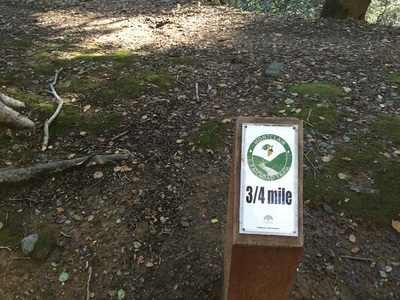 We started our hike from the parking lot, explored the side trails, visited Torii Gate, and returned to the parking lot for a roughly 4 mile hike. 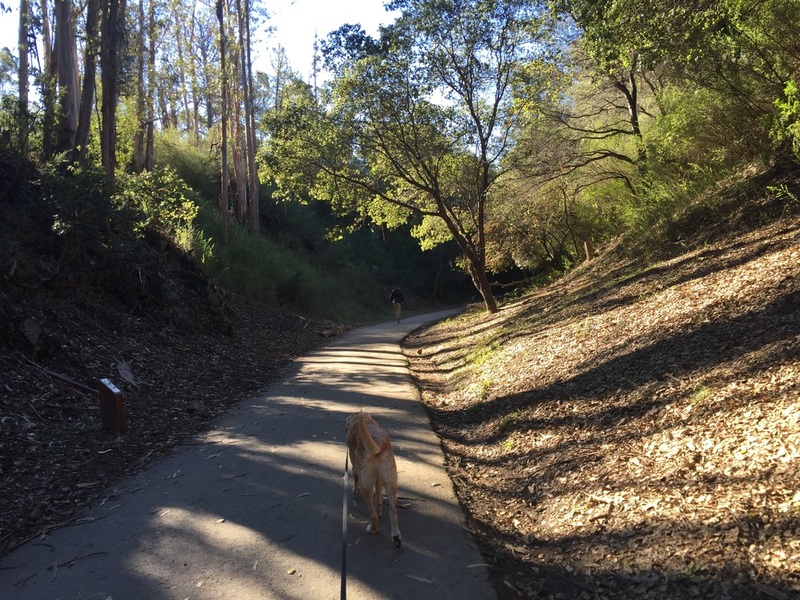 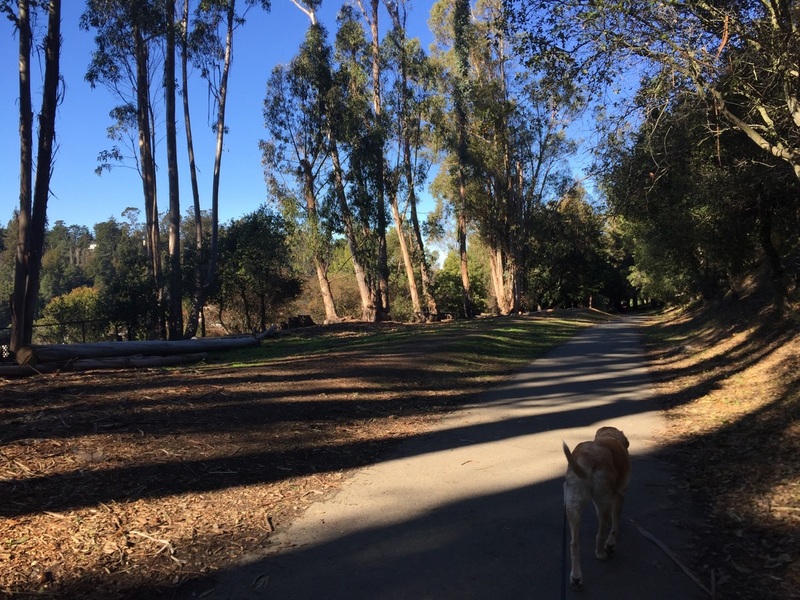 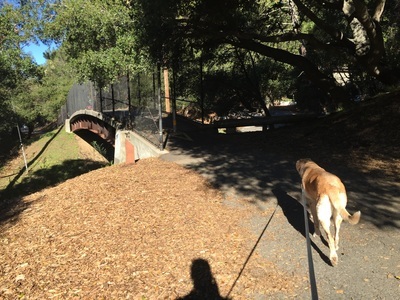 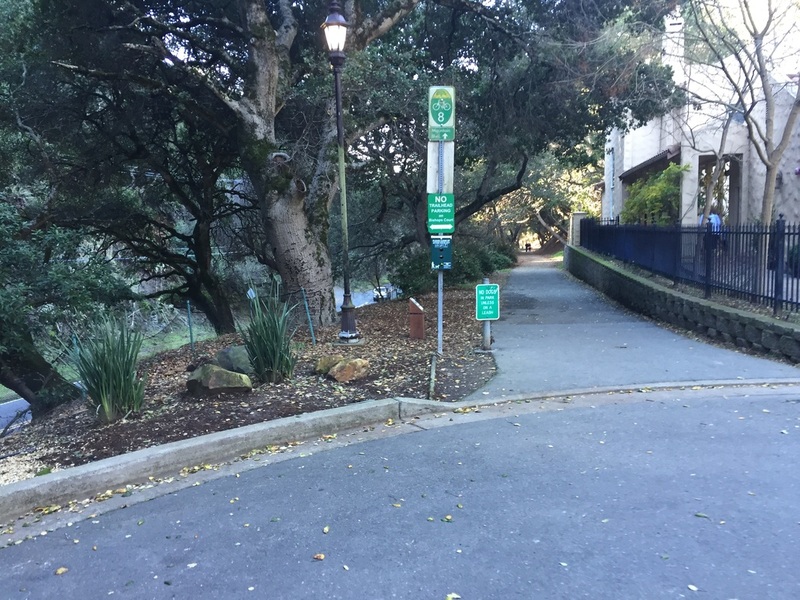 You can extend your hike via residential streets to join Sibley or Redwood Regional Park, or head back the way you came. 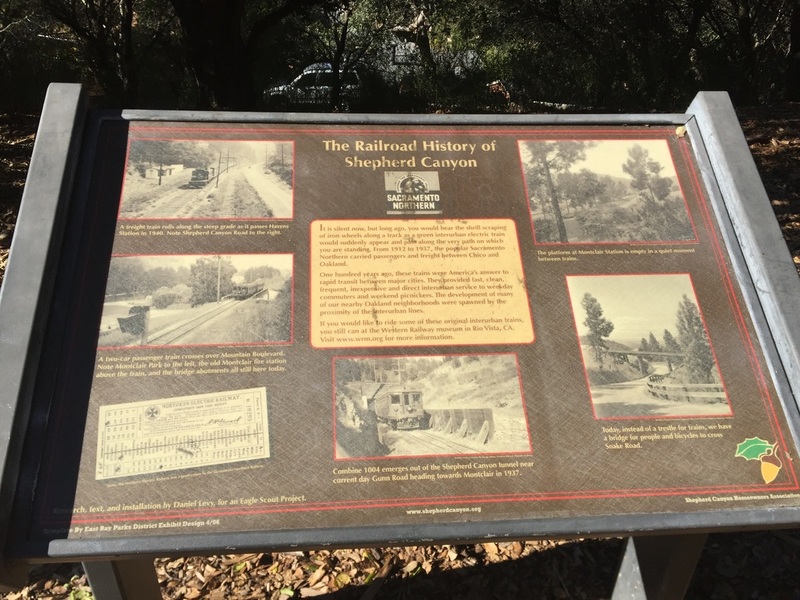 There are trash cans along the Railroad Trail. 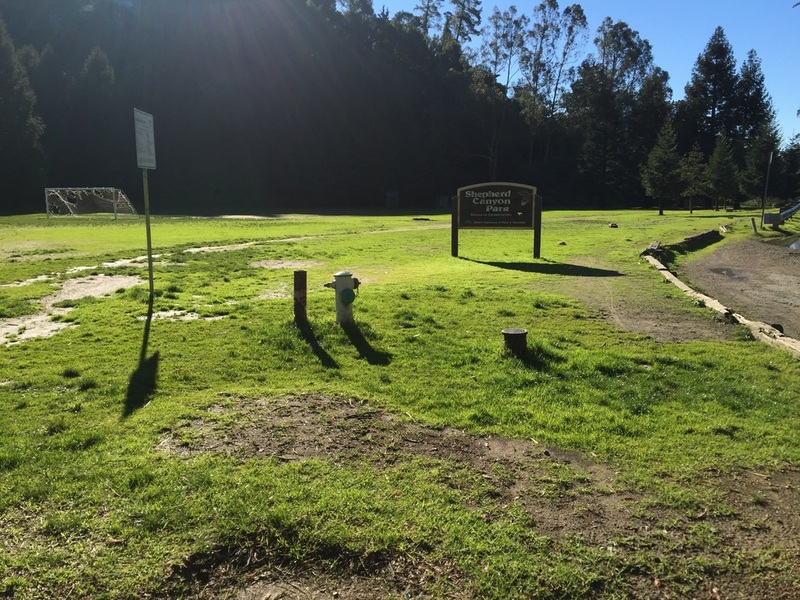 Restrooms and running water are available at the parking lot in Shepherd Canyon Park.